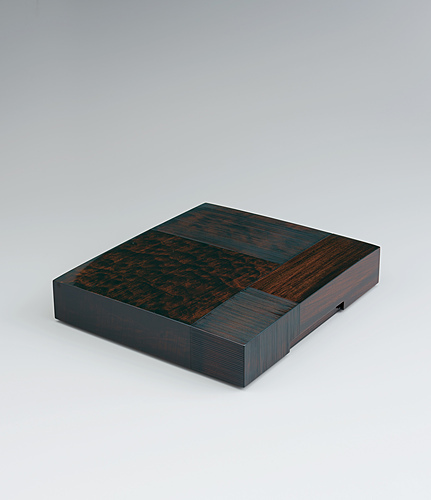 Box of cedar and camphor wood for shikishi finished in wiped urushi. 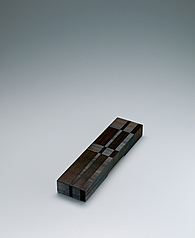 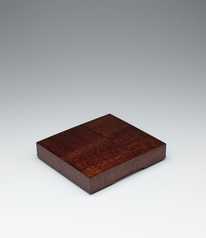 Box of Japanese hemlock wood for tanzaku with uzukuri finished in wiped urushi. 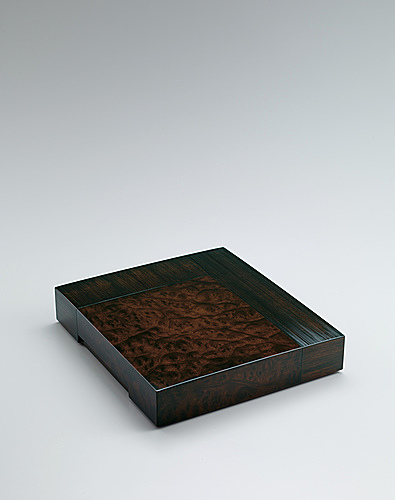 Box of lauan wood for shikishi with marquetry decoration finished in wiped urushi.